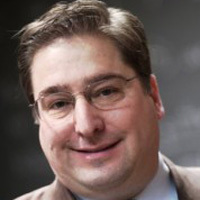 Jeffrey X. Watt is The M. L. Bittinger Chair of Mathematics Education, Interim Chair and Professor of the Department of Mathematical Sciences at IUPUI. After receiving a B.S. in applied geophysics and engineering from Michigan Technological University, he worked for Shell Oil and completed field studies at Emory University, he earned a M.S. in applied mathematics and fluid dynamics from Purdue University. He then completed his Ph.D. in mathematics and education at Indiana University. He has been a full-time faculty member at IUPUI since 1986. Dr. Watt is dedicated to improving math education throughout the State of Indiana, as well as at the university. He has developed numerous textbooks and in-service professional development programs for both student and teacher training. He has been instrumental in the formation of University College at IUPUI, the creation of the IUPUI High School Mathematics Contest, and the development of the Masters of Science Teaching Option degree at IUPUI. All of these programs have transformed math education for students and teachers alike. He is also the state director for Project Lead the Way, a national teacher training program in the biomedical sciences. Dr. Watt has trained over 750 high school science teachers in biomedical science curriculum. Funded by the Governor's Office, and built in partnership with the Indiana Department of Workforce Development, Project Lead the Way Biomedical Sciences is an example of a successful state and higher education partnership addressing workforce development preparedness through curricular development and teacher training in the sciences. For his extensive experience in leading outreach and math education reform in grades 6-12, Jeffrey Watt has earned numerous teaching awards and recognitions including the: IUPUI Chancellor's Award for Excellence in Teaching, Purdue University Master Teaching Award, IU Frederic Lieber Memorial Award for Distinguished Teaching, the Mathematics Association of America's Distinguished University Teaching Award, and in 2010, the Carnegie Foundation's CASE Professor of the Year Award. In 2011, Dr. Watt received a 5-year, $2 million grant from the NSF for the Central Indiana STEM Talent Expansion Program, which successfully increased the number of STEM graduates at IUPUI by 10% per year for 5 straight years (from 450 to over 700 STEM graduates per year) by increasing retention rates and lowering DFW rates in critical STEM courses.